Birthdayexpress.com has outdone themselves with these fantastic birthday party ideas! This week’s top party picks on Birthday Express are all about the most popular party themes for girls and boys alike. From beautiful scenes of ice and snow, to monstrous arenas of mud and machines, it’s all here. 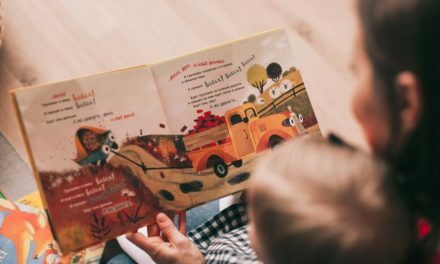 Keep on reading to learn about the best birthday parties around! 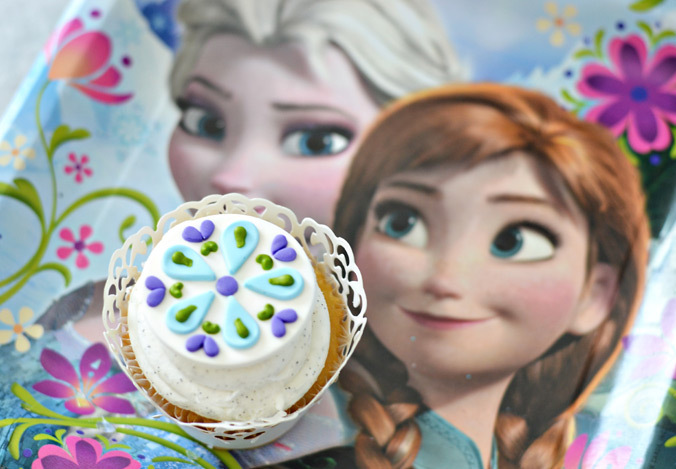 As we discussed in our post about birthday party favor ideas, Disney’s Frozen is the absolute trendiest birthday party for girls right now! Frozen party packs contain all the essentials – plates, napkins, cups, balloons, and other decorations feature fully illustrated designs, right from the movie. Don’t be afraid to order well in advance of your party, because you never know when these will sell out! Brittany Schwaigert from GreyGreyDesigns styled these Frozen photos for us. Here, she’s created a gorgeous Frozen tablescape out of simple blue and white decorations, paper snowflakes, and (naturally) oodles of blue glitter. 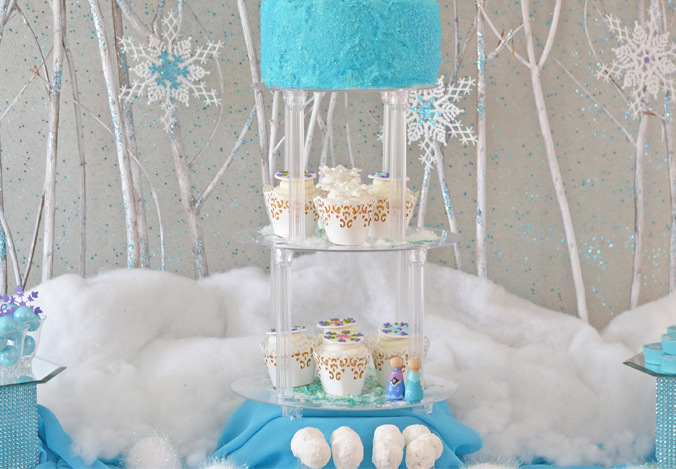 To read about more of Brittany’s fabulous Frozen party ideas, check out our full blog post feature on the subject, here. The birthday girl should be able to dress the part at her own party! With Frozen costumes over at BuyCostumes.com, that’s easy to accomplish. She can take her pick from multiple varieties of Anna costumes and Elsa costumes, to transform into her favorite character. After the party, these will make a great addition to the playroom, and can be brought out again come trick-or-treating time, too. 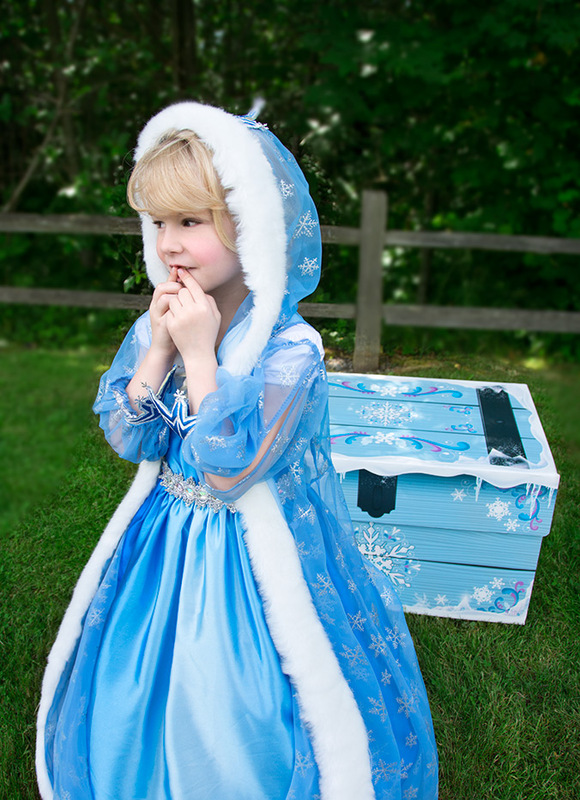 Check out BuyCostumes.com’s blog post on Frozen costume ideas to learn more! Here’s a party theme that little boys everywhere love. 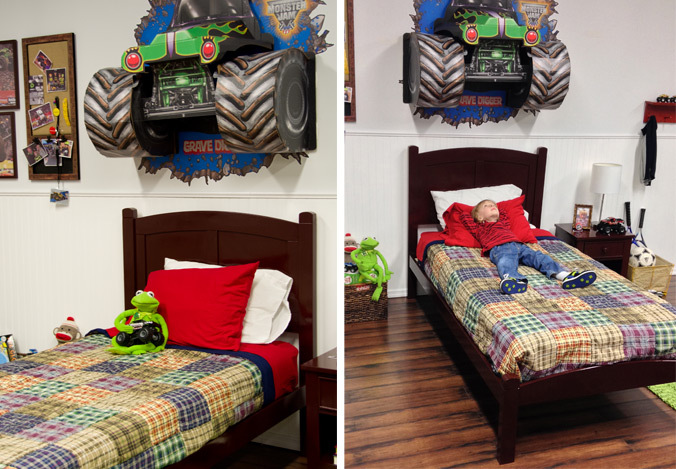 Even if they’re too young to attend a real Monster Jam event, you can bring the Jam home with our Monster Jam party supplies! Superstar monster trucks like Grave Digger and Maximum Destruction are featured all over these designs, and even special items like monster truck piñatas are available. Bring the trucks right to the table! 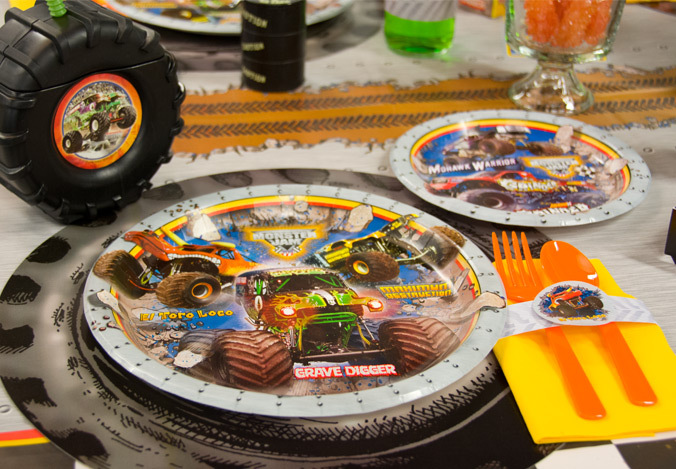 Party guests will love these tire truck cups – way cooler than plain plastic cups, right? Plus, their removable lids hold straws steady and can help prevent drinks from sloshing over the sides. This is especially nice if you’re planning a party for younger kids. 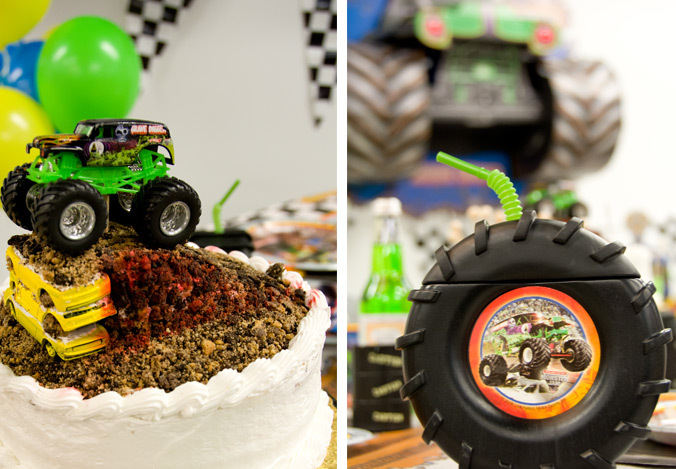 Top a birthday cake with a monster truck too: crushed cookies make for a realistic, yet delicious, mud surface. 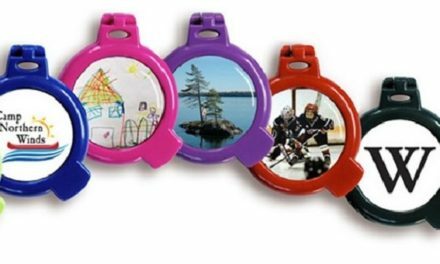 Give your child the greatest party decoration ever with this Monster Jam Wall Burst. Once it’s folded into shape, it smashes into the party just as well as the real Grave Digger smashes other trucks. Click here to view our wall burst assembly tutorial, and to learn more about our Monster Jam party theme. She’s a little bit country! If your daughter is fan of ponies and everything pink, then this party will be perfect. 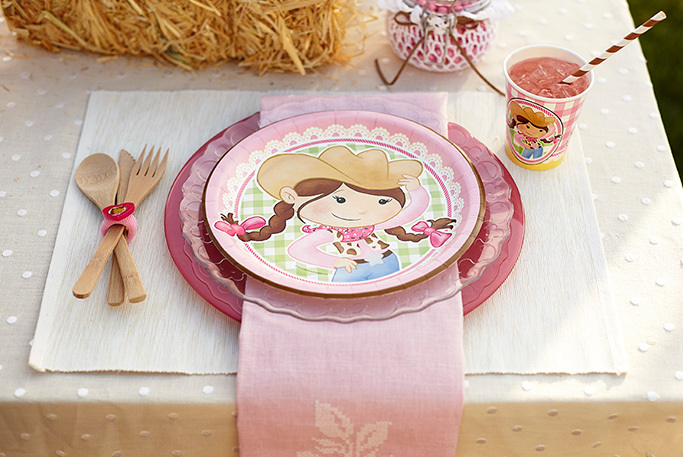 Our Pink Cowgirl party supplies feature tons of cute illustrations, and can also be accessorized with plain pink. Dress-up is what really makes this party fun! Each guest can choose between cowgirl hats and pink bandanas (or both) to really get into the party mood. Desserts can be dressed up too, with cowgirl boot cups and cupcake wrappers. 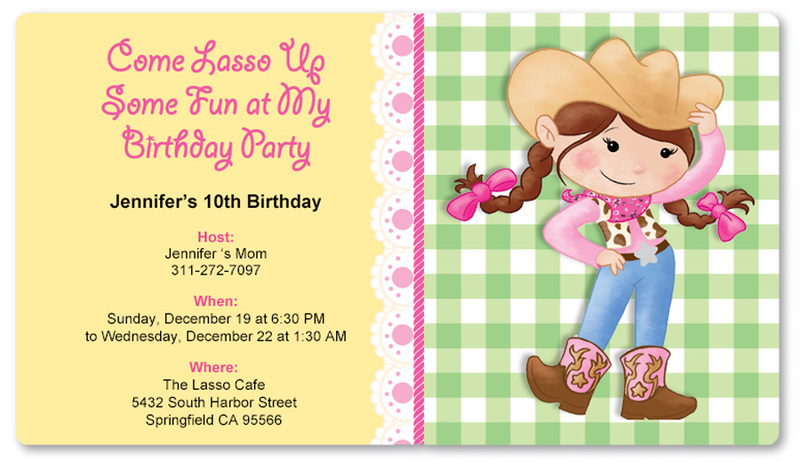 “Come Lasso Up Some Fun!” Guests can be invited in style thanks to this matching invitation, available on Evite. Not only does it fit the party theme perfectly, it also has the added convenient benefit of being an online reminder. 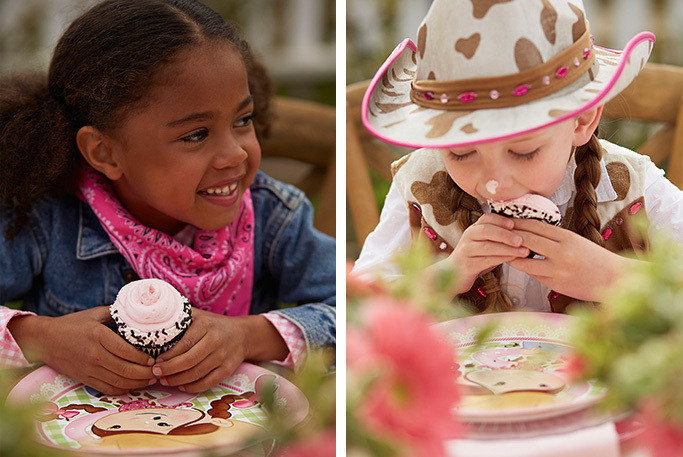 Read more about our Pink Cowgirl party tips here! 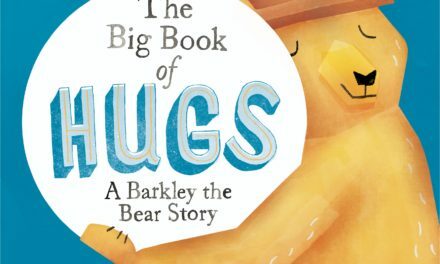 What are your thoughts on our featured kids’ party theme picks this week? Have we inspired your party plans for your son or daughter’s special day? What party should we come up with next? Connect with us on Facebook and Twitter @BirthdayExpress and let us know! Check out our Pinterest boards too, for even more great party ideas. 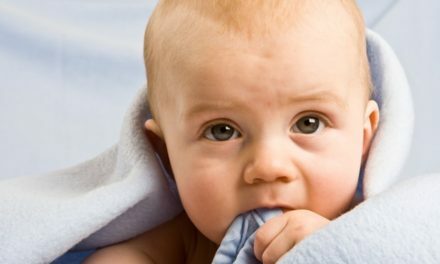 Can A Baby Sleep With A Blanket?